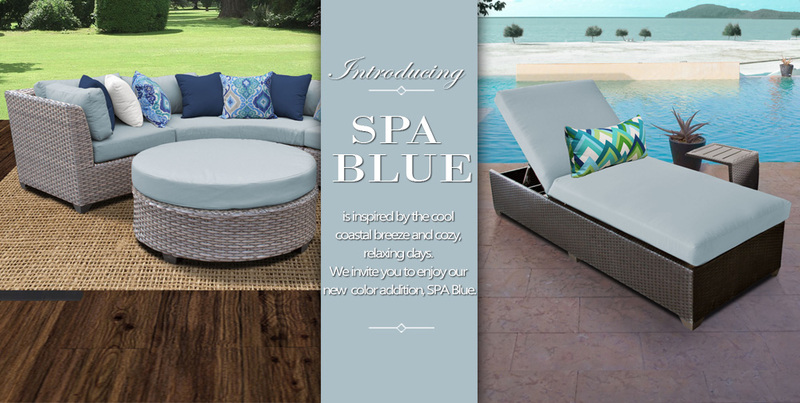 Now you can have stylish and durable outdoor wicker patio furniture that won’t break your budget. 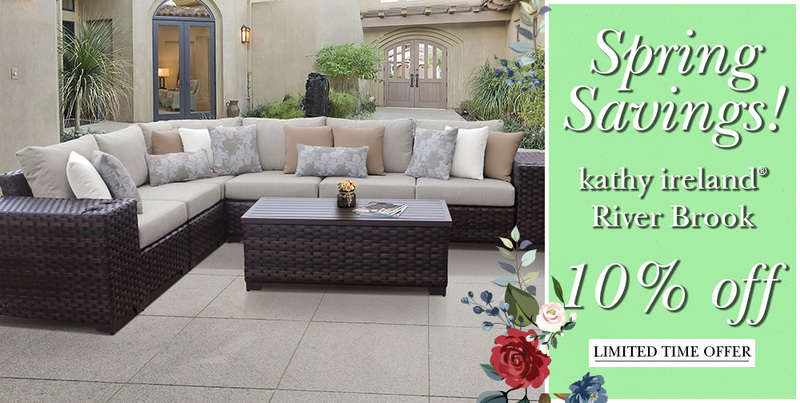 Select from a wide variety of TK Classics designer patio furniture in styles, fabrics and colors to fit your tastes. 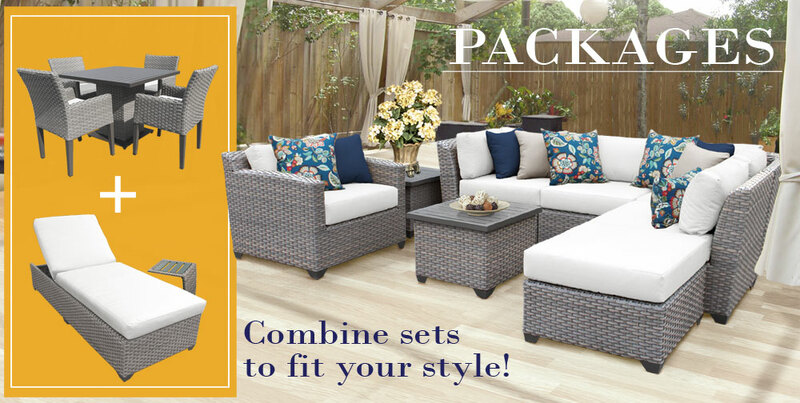 Best of all, maximize your purchase and save more by packaging complete wicker patio sets that are perfect for your outdoor living lifestyle. 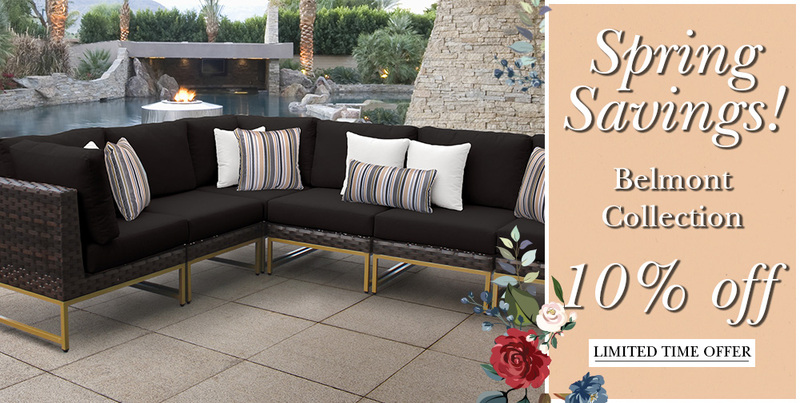 When looking for designer patio & outdoor wicker furniture for sale, it's important to know what to look for in terms of quality and price. 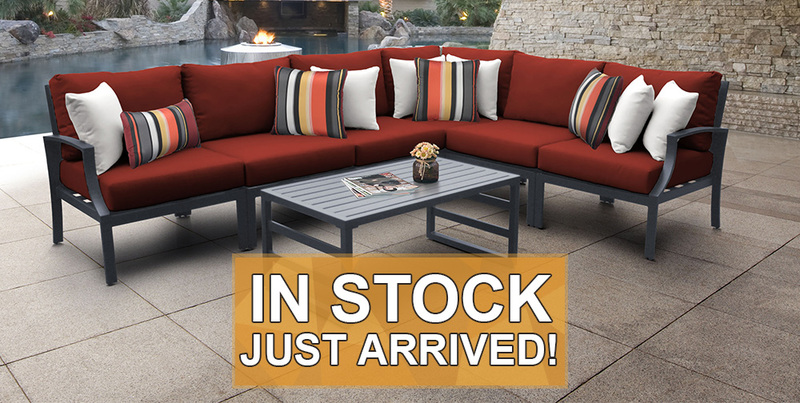 Don’t settle for cheap patio furniture. 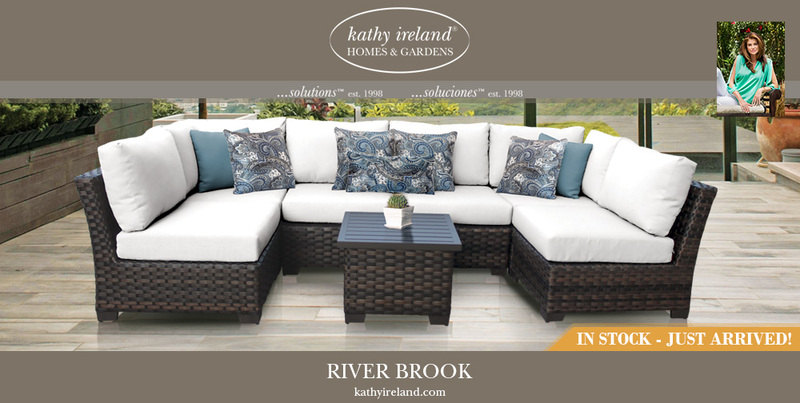 Accept nothing less than high quality wicker – durable enough to withstand the weather without sacrificing style. Speaking of style, our top-notch designers are on the cutting edge of the latest design trends. 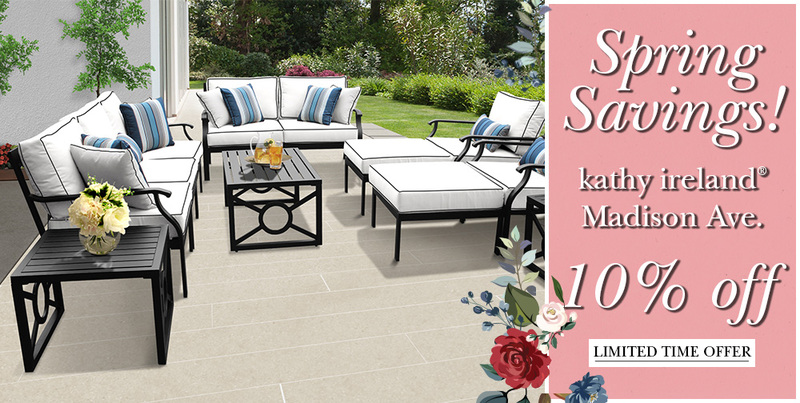 They create custom designed patio collections that incorporate the most current design styles while maintaining exacting quality standards. 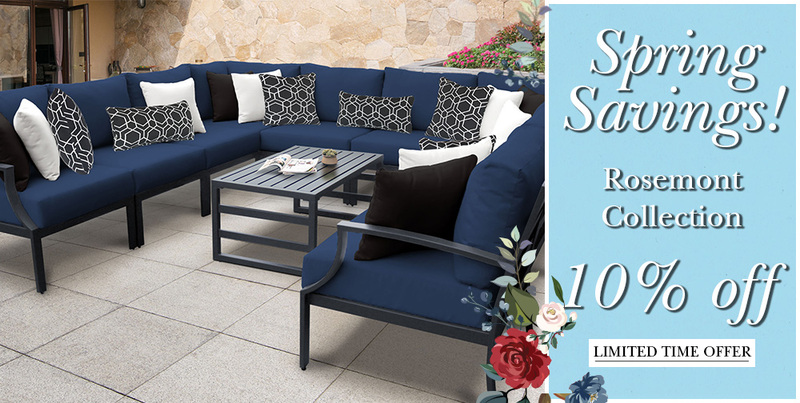 In fact, our designer outdoor furniture for sale features modular and pre-configured seating arrangements that can be easily paired with matching dining sets, wicker chaise lounges and a fire pit to create a complete outdoor living set. 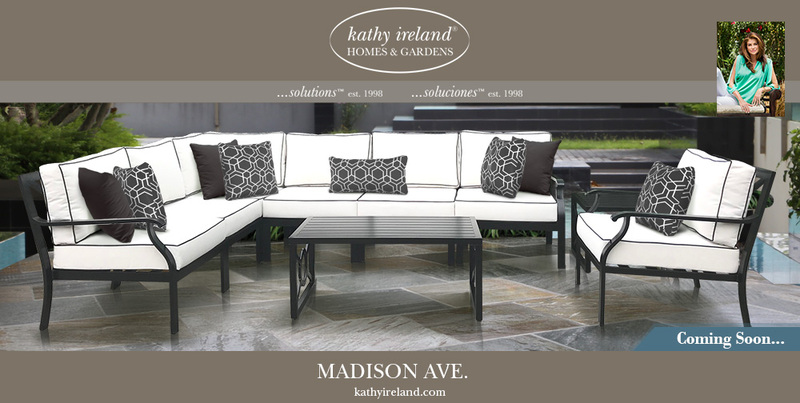 Order your next TK Classics patio set with Design Furnishings and you’ll have the trendiest, high-end outdoor furniture on the block. All while saving money! 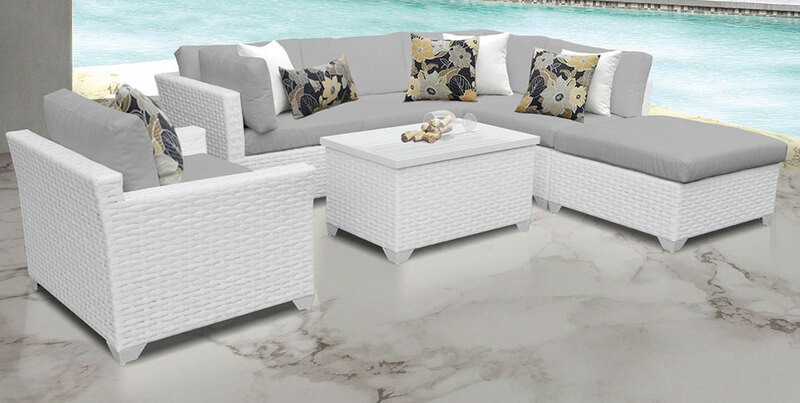 At Design Furnishings, we offer the highest quality designer patio furniture and hand-woven outdoor wicker furniture for sale. But how do we keep our prices so low? As designers and manufacturers we are able to ship directly from the factory to you no middlemen and no added handling charges. By removing the high costs associated with retail, like sales commissions and inflated markups, we are able to pass those savings directly to you. 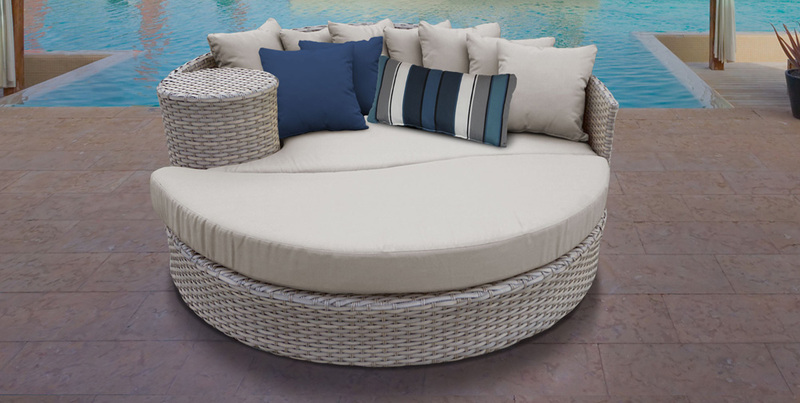 It’s factory direct pricing of luxury outdoor furniture. It doesn’t get much better than that! 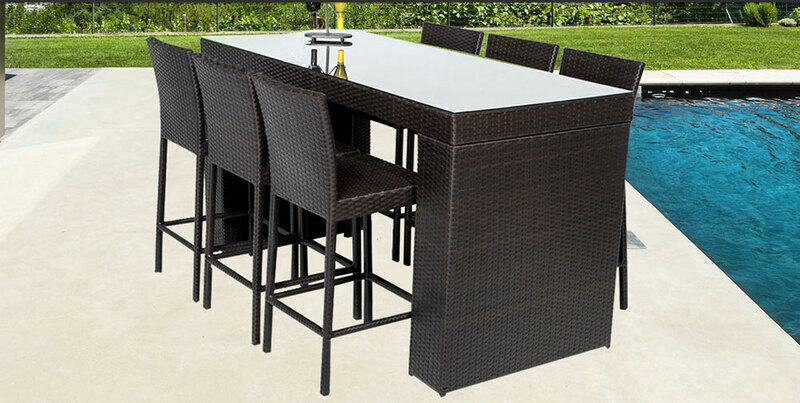 Improve your outdoor living today with high quality, stylish and durable wicker patio furniture at wholesale clearance prices. 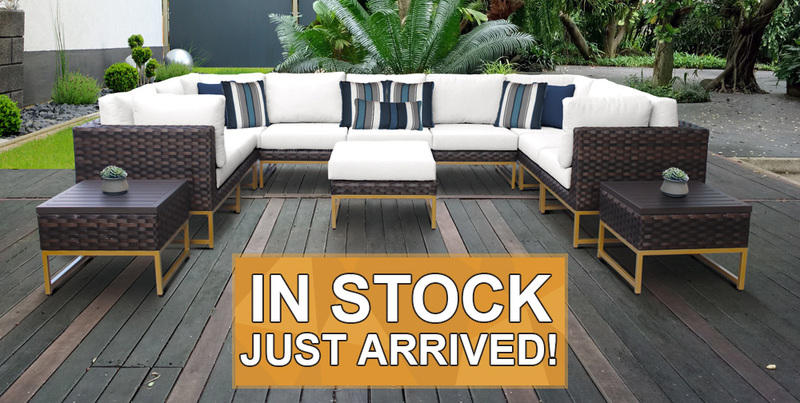 As always, when you purchase upscale wicker furniture from Design Furnishings your outdoor patio furniture is shipped free within the United States, using the most reliable delivery methods.